On the second week of January 2014, husbie and I set off for an exciting 6-day honeymoon. Destination? Bali. It's the first time ever for the both of us in Bali. I've heard mixed reviews on friends' trips to Bali, some enjoyed their stay and some did not. Suffice to say, Bali did not disappoint us. One of the things that we weren't sure of was our accommodation. Villas? Homestays? Hotels? We were absolutely spoilt for choice.We surveyed room prices from various websites such as Agoda, Hotel.com and Booking.com. We also checked out reviews of former guests in TripAdvisor. In the end, we opted to stay in a villa for half of our trip and in one of the new hotels for the remainder of our honeymoon. Upon arrival, be prepared to be greeted by long queues at immigration. We were in Bali towards end-peak season and it took us roughly forty minutes to get through to get our passports stamped. 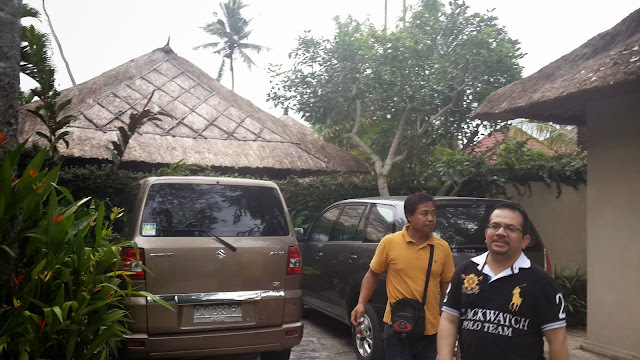 Pak Yudha (I call him Pak Yoda), our supir, was already waiting at the arrival hall to take us to our villa. The journey to our villa, Tamu Seseh, located in Canggu, took us 30-40 minutes from the airport through evening traffic. Tamu Seseh is an eco-resort promising an unforgettable experience. 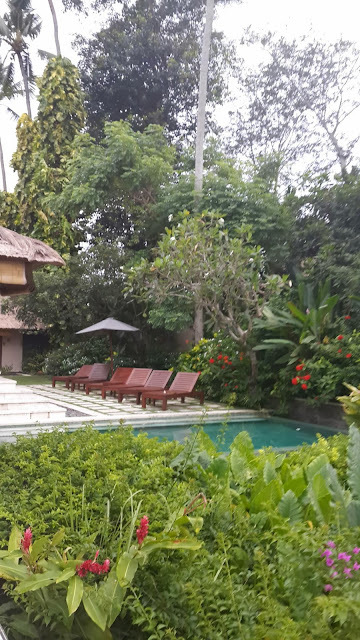 The location still retains its charming village life and provided a sanctuary not too far from the hustle and bustle of Seminyak, Ubud and Kuta. 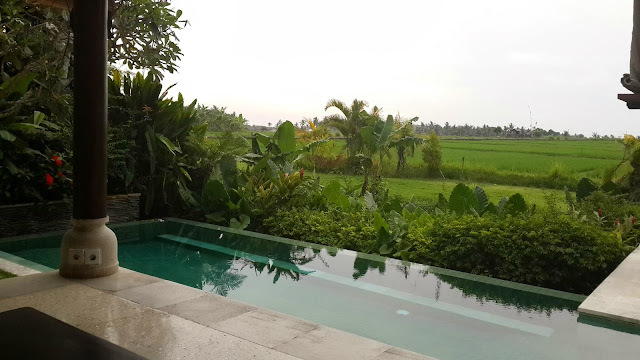 I was so immersed with the stretch of paddy fields and lush views in front of our villa that I didn't even take a single picture of our room throughout our stay. Don't get me wrong...the room was lovely with its romantic ambience and all....but the idea of getting to have breakfast with my husbie every morning at the dining patio with such a view was more than I could ask for. Landscape view of our villa from the mini bridge adjoining the paddy fields...at the right, behind the pool, is our main room. On the left you can see the dining patio and the elevated bale and spa/game room in front of it. 1. Do hire yourself an excellent driver i.e. supir if you plan to go around Bali a lot. 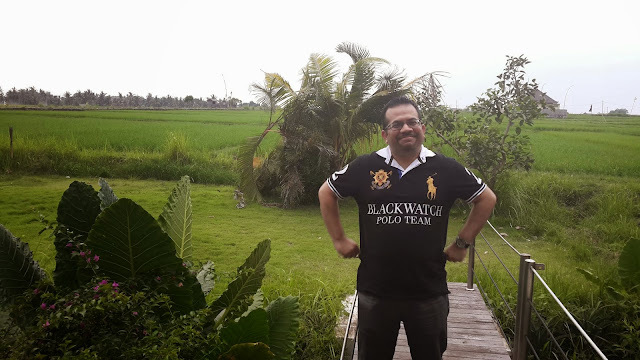 You are recommended to do so prior to your arrival in Bali. Otherwise, get one in Kuta. Price ranges from Rupiah 750K-800K. If you plan to stick to your designated area most of your trip and minor out-of-town excursions, then stick to the normal bluebird taxis around town. 2. Do mind your manners and queue...queue for the bus pick-up from your plane to the main terminal as well as in the immigration hall. Remember, everyone is in Bali for a good time. Don't spoil someone's holiday just because you are impatient. 3. Do purchase the local simcard including the necessary top-up upon your arrival. It will prove to be useful especially if you plan to stay long in Bali.The counter is located right outside the arrival gates on your right.